The gardener, the last one of Gatsby’s former servants, came to the foot of the steps. 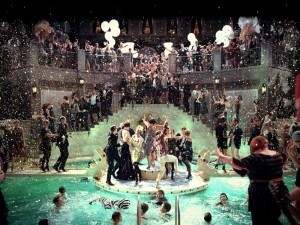 Like Mr. Gatsby, a large population of America goes entire years without ever dipping into a pool. I know, the very thought of it makes me shudder, but pool avoiding people are out there. 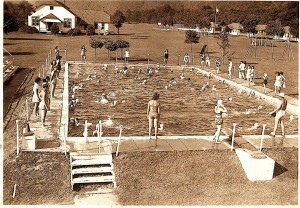 The history of the people/pool relationship is one that dates back into the 19th century. However, it was not until the first summer Olympics (which included swimming as a sport) that a larger portion of the population wanted access to the pool. Swimming pools may have a long history, but pools themselves have a shelf life. Whether people stop using the pool or it falls into disrepair, some pools have long been forgotten. 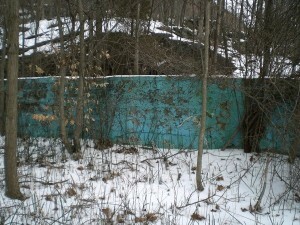 The three following spots are places here in the United States with abandoned pools. How is it possible that Disney let this gem go? 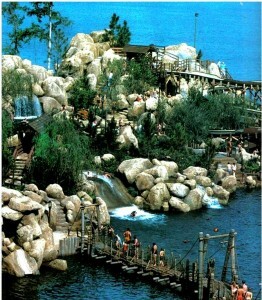 River Country was a water park that opened in 1976. 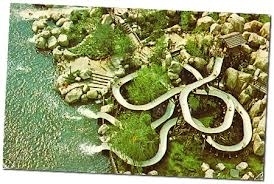 It was a park with a theme dedicated to returning people to the rustic west. I can imagine that a park dedicated to feeling old probably got hard to keep ‘new’ and ‘fresh’. In 2001, Disney’s River Country closed its doors for renovations. 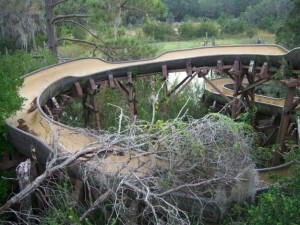 It wasn’t until 2005 that Disney finally came out and said they have no intentions of reopening the park. 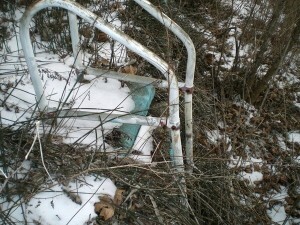 The park has been abandoned since then. It lays on the shore of Bay Shore Florida totally unused but locked up from any prying eyes. Now you can see a huge amount of trees sprouting up between the water slides and bushes taking over the pools. It is almost as if the rugged nature that Disney always wanted to hearken back to has come and taken over the park! This Gymnasium was built at the University of Rochester in 1955. It was the girl’s gym & pool. There are actually TUNNELS that lead from the girl’s dormitories to the gymnasium so they could walk to the pool in their suits without being exposed. The university built a new athletic center in 1982 and since then, the woman’s pool has been closed. 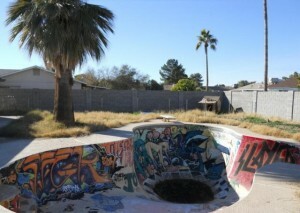 This abandoned pool is easily my FAVORITE on the list. Apparently, this pool has become somewhat of a dumping grounds for the college. 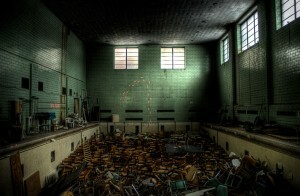 The pool was filled to the brim with student desks, old props and other random items that the college no longer uses. It inspired QUITE A FEW photographers. Also, at some point a person came in and added the orange footprints that follow around the room. It apparently stayed like that until very recently (like last year) when they finally tossed all the desks out. Much to the disappointment of almost everyone. This top of the line resort was owned by Erik Paige. Look closely at those pool wall outlines. There were TONS of pools. Located in New Jersey, this water resort with MULTIPLE pools offered a great place for the locals. The resort was on top of natural springs that used this water to continually keep the pools full. Paige’s family imported things like water slides and other attractions to make the pool one of the coolest places to go during the summer. In 1996, Erik Paige finally sold the land that his resort was on to land developers. 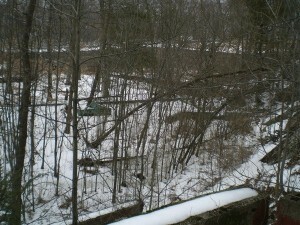 At this point, most of the pools are not only abandoned but totally gone. Only a few remnants from the resort days remain on the land. The last remaining bits of the resort land are being turned into condominiums. You will now only see the ladders that lead to nowhere or the remainder of a pool wall that looks like it came from another age. Have you gotten the bug? I found that looking at one or two of these places is not possible so I will include some great webpages that can show you more. 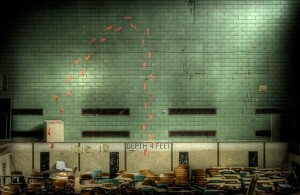 Web Urbanist’s 12 Abandoned Swimming Pools, Environmental Graffiti’s 10 abandoned Water Parks and the ever growing Flicker Page that is for anyone who spots one. 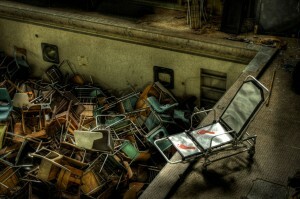 Leave a comment if you have ever been to a cool abandoned pool! Or if you are planning on visiting one now!